Put on your helmet and ready your self for some awesome off-road motor action! 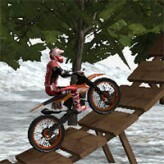 Play with more difficult levels in Moto Trials Offroad 2. Complete every stage without falling over and try to make it to the leader board. 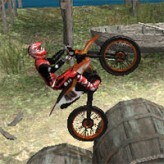 Moto Trials Offroad 2 is the second version of the beautiful 3D motorbike game Moto Trails Offroad. 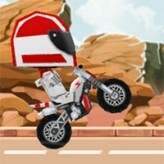 In this game, your goal is to get through each obstacle and finish the course without falling over. The game features a lot of improvements, most notably the more difficult levels to play with. Do some flips and experience the awesomeness of dirt bike riding. Test your motorbike skills by taking on much harder tracks than before. Have fun! The game takes a while to load, thank you for your patience. There have been 4,427 plays and 49 likes from 57 votes (86%) since 03/10/2016. 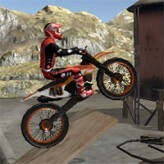 You are currently playing Moto Trials Offroad 2 game for free on Arcade Spot. It is a single game out of a variety of games that you can play on Arcade Spot. Play more games like Moto Trials Offroad 2 in the Arcade, Challenge, Motorbike, Physics, Racing, Ragdoll, Skill, Sports, and Unity gaming categories. This game has a rating of 86 out of 100 based on 57 user ratings. If you enjoyed playing the game, give it a thumbs up. Free Online Games and Arcade Games are added every day. Arcade Spot will bring you the best games without downloading and a fun online gaming experience on the internet.